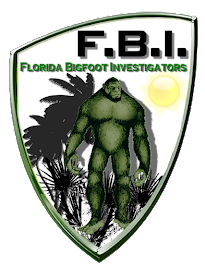 FLORIDA BIGFOOT INVESTIGATORS - F.B.I. or log on to The Sasquatch Hunters.com for more info. This is the first one ever so get yours quick...they wont last!!! This past weekend Kevin Thomas Kehl, with the assistance of Nick Tudor, deployed his newest trailcam with stealth technology. It was placed in an area that is full of wildlife and has even had a recent Bigfoot sighting, as well as some conspicuous foot prints. This is his first deployment of the camera so it will be a short test duration. This is in the same vicinity that Robert Robinson recently had 2 cameras stolen so hopes are high that this camera will return safe and with good evidence. Check back soon for stills and videos from the camera next week. In the meantime enjoy the pictures below of the adventure out into the swamps for deployment. 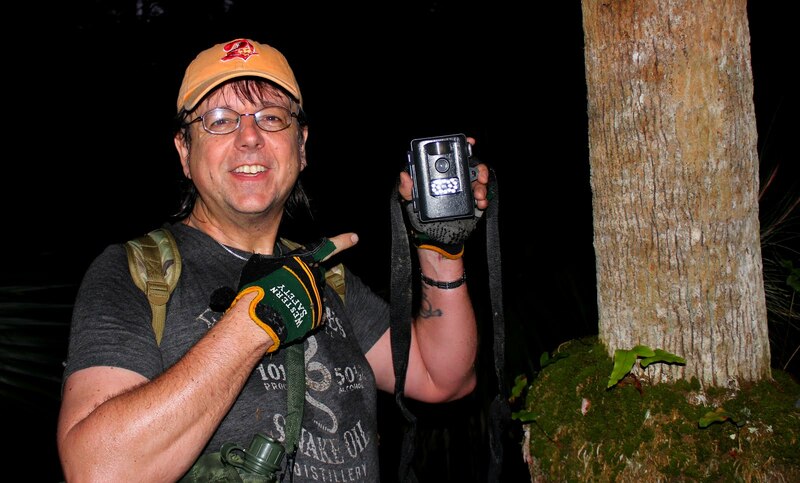 Are you ready for the new paradigm in Bigfoot Research? 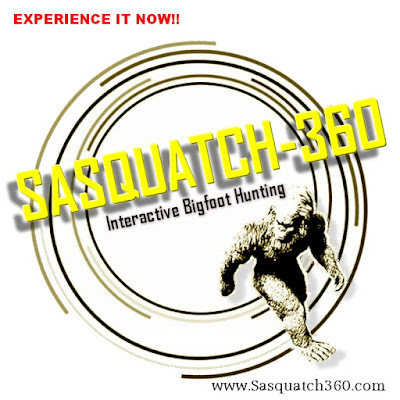 SASQUATCH-360 is a new way to enjoy Interactive Bigfoot Hunting. If you can't get out into the field now you can search around us as we work our way through the swamps. This is our very first attempt and learned some very valuable lessons to improve the experience for our viewers and users. No need to search around for the newest videos. Simply type in www.Sasquatch360.com and go straight to work searching for the big guy. 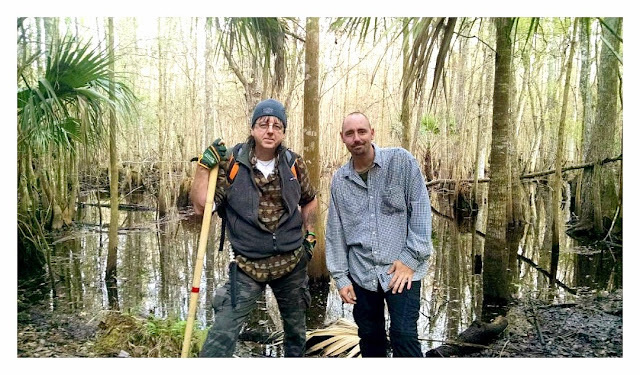 Florida Skunk Ape Here in Florida we are lucky to have our own brand of Bigfoot/Sasquatch. Affectionatley known as the "Skunk Ape", folklore and stories of this creature abound and has been reported as early as the first settlers. 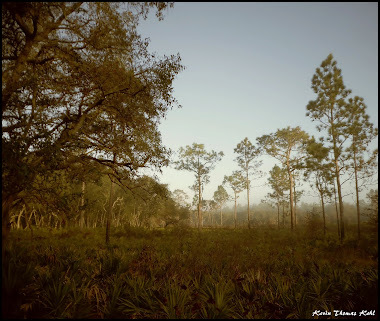 The Skunk Ape, also known as the Swamp Ape, Stink Ape, Florida Bigfoot, Myakka Ape, and the Myakka Skunk Ape, is a hominid cryptid said to inhabit Florida, as well as North Carolina and Arkansas, although reports from Florida are more common. It is named for its appearance and for the unpleasant odor that is said to accompany it. According to the United States National Park Service, the Skunk Ape exists only as a local myth. Reports of the Skunk Ape were particularly common in the 1960s and 1970s. In the fall of 1974, numerous sightings were reported in suburban neighborhoods of Dade County, Florida, of a large, foul-smelling, hairy, ape-like creature, which ran upright on two legs. Early morning in the swamps.